What seemed impossible has happened, you’ve locked yourself out of your car, you’re running late for an appointment and you have an arm full of groceries. We get it, you can’t afford to sit around and wait for the replacement key arrive. That’s where we come in! 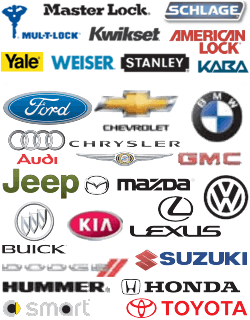 We are Georgetown Locksmith Pros and we provide the fastest car lockout and automotive locksmith services in the area. If you’ve locked yourself out of your car, you can call us anytime of the day or night. We’re a mobile locksmith business that meets you wherever you are and gets you back on the road quickly and hassle free. One of our most common requests for car lockout assistance includes clients that call us after a day of shopping in the downtown area. They put their new purchases in the trunk and accidently lock the keys inside along with their packages. Whether your lockout situation is similar to this scenario, or something more unique, we are ready and able to handle just about anything. With our fast response times, efficient car lockout services, and dedicated work ethic, we’ll turn a possible catastrophe into a minor nuisance. Our expert staff is backed by years of knowledge and experience, ensuring that you’ll be happy with the results. We also handle house lockouts, office lockouts, and more. Whatever life throws at you, we’ve got a local emergency locksmith available just for you. At Georgetown Locksmith Pros, we know that security is one of your top priorities. We’ll help you get back into your car safely and efficiently. And whenever you need a locksmith, we offer a wide range of services, from key repair to lock changes to car fob replacement. Whatever you need, don’t hesitate to give us a call. We’d be proud to have your business. DO call us, no matter what time of day or night it is. Do double check that all doors are indeed, locked. DO find a safe place to wait for a technician to arrive, just let us know where we can find you. DO call ahead and let people know that you might be late, if applicable. DON’T panic! Take a few deep breaths and rest easy knowing we are just a quick phone call away. DON’T try to break the window or pick the lock. You could risk serious injury and cause costly damages. DON’T wait longer than 30 minutes for help to arrive if you call us. 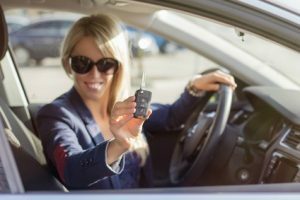 Car Lockout https://georgetown-locksmith.co/automotive/car-lockout/ 4.3/5 based upon 28 reviews.